Guests enjoy the Bang & Olufsen experience through 32-inch LCD screens and digital TV channels. Elegant seating, a sleek work desk, and complimentary Wi-Fi provide easy connectivity within a comfortable setting, while marble bathrooms feature Hermès bath amenities provide easy relaxation. A fluffy bathrobe, plush slippers, and a hairdryer are right within reach, and our twice-daily housekeeping service ensures guests are always in impeccably tidy surroundings. An in-room safe provides a secure place for guests’ valuables at Lake Geneva Hotel. Always available are complimentary bottled water and a daily newspaper, delivered every morning. 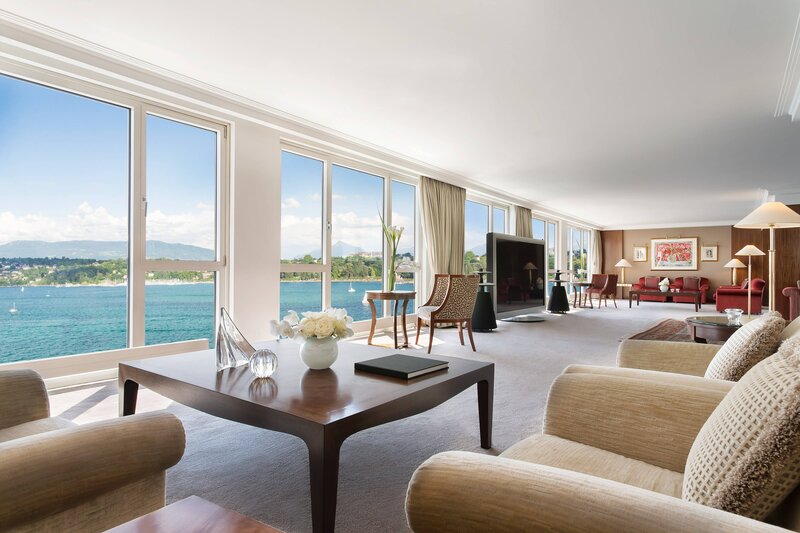 Unrivalled stylishness and ultimate comfort – Live a luxury experience with the prestigious Suites of our 5 star hotel on the Leman lake shore. 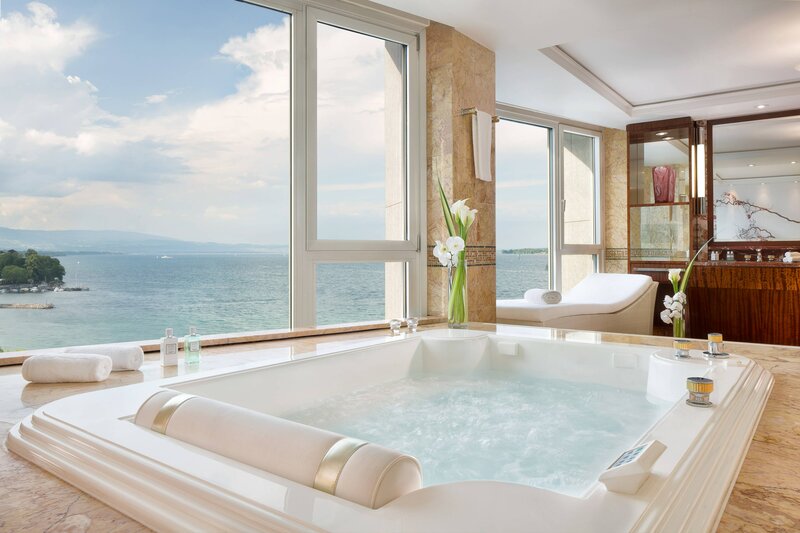 Succumb to the ultimate luxury of our Royal Penthouse Floor, stretching on the entire 8th floor, namely 1,680 sqm. 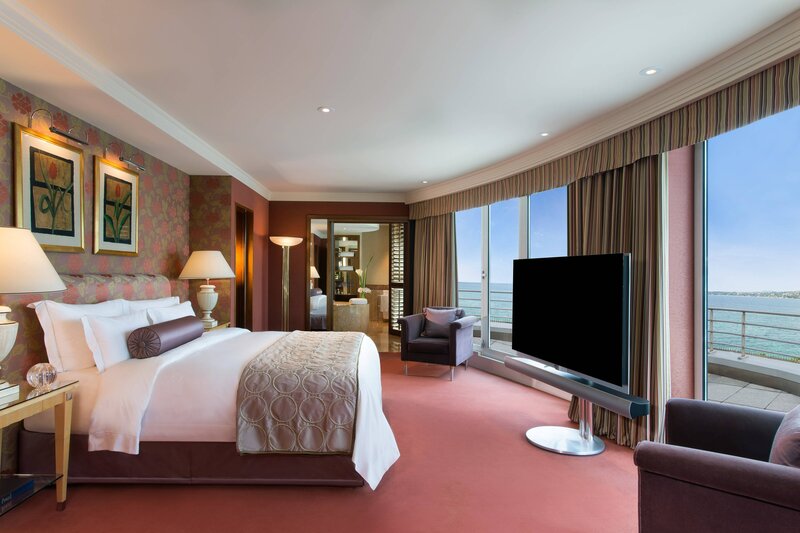 Stay three consecutive nights and enjoy more time to explore with a complimentary fourth night.